With over 10 years' experience offering dedicated service to patients like you, you'll get the high quality exams, diagnosis, and treatment you need. When you visit Exquisite Eye Care, you'll always receive personalized, comprehensive eye care to improve your vision and match your lifestyle. Make an appointment today! Dr. Cuong V. Tran is a Texas board-certified Therapeutic Optometrist and Optometric Glaucoma Specialist who specializes in primary eye care, contact lenses and detection and treatment of eye infections and diseases such as conjunctivitis, glaucoma, cataracts, and macular degeneration. Dr. Tran is a graduate of the University of Houston College of Optometry, where he was recognized with a Clinical Letter of Excellence and Dean's Academic Lists. He also earned his Bachelor of Science in Biology from the University of Houston. Dr. Mischelle Gragg has provided eye care to patients in the Houston Clear Lake area for over 20 years. She earned her Bachelor's degree in biology from the College of Charleston in South Carolina before graduating from the University of Houston College of Optometry in 1989. Dr. Gragg operated an independent therapeutic Optometric practice in Baybrook Square Shopping Center in Webster for over 12 years as well as a contact lens practice in the Galleria area for 5 years. Dr. Antony Nguyen was born in Arkansas, and after living in there for a few years, his family moved to Texas, making Houston home. 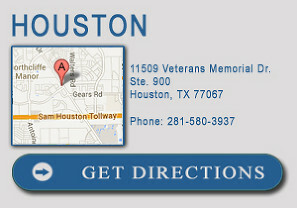 Dr. Nguyen resides near the Galleria area, close by to where he attends church at St. Michael's. Prior to his optometric training with emphasis on medical eye care at the University Eye Institute, Dr. Nguyen earned his Bachelor of Science in Biology from the University of Houston, where he was also involved in the community by volunteering with Prevent Blindness and Texas Children's Hospital. "What an incredible working culture. I am amazed at the consistency in quality from top to bottom. Doctors and receptionists all on the same page, and talk about FAST and EASY. I wish all doctor's offices are as fantastically run as Exquisite Eye Care!" 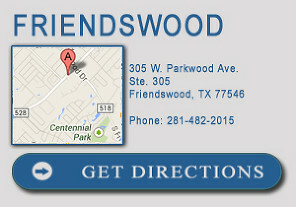 "From the moment your step in the door, you can tell Exquisite Eye Care wants what's best for you. Shoutout Dr. Tran and Dr. Gragg! I'll be back." "Don't be fooled by the businesses around Exquisite. This place is a hidden GEM. I don't remember ever enjoying going to the doctor, but if I had to rank my experiences, my time at Exquisite takes the top spot. Dr. Nguyen is a pro, and the whole staff know what they're doing. Quick, competitively priced, and really down-to-Earth. Give them a shot and you won't be disappointed." "There's this great separate area for kids to wait. Parents with kids rejoice: there's a cool waiting room to keep our kids entertained while we wait for our appointment!"